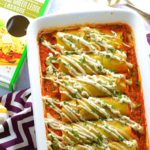 Whole-Bean Coffee Review – Get Cooking! I always love the sweet life of being a food blogger, but there are times I love it even more than others – such as the times I’m sent coffee in exchange for telling my readers about it. Oh, yeah, that’s when I love it almost as much as my next breath. 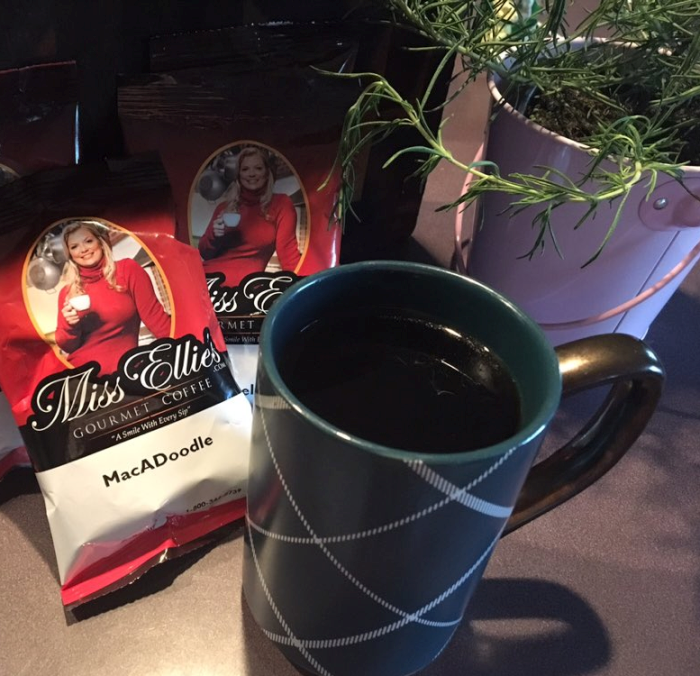 I was recently sent a great collection of Miss Ellie’s Coffee, as well as a beautiful coffee cake – which was above and beyond cool of them – and it’s my supreme pleasure to tell you all about this wonderful coffee. … the taste of the coffee. … the value of the coffee. … the people on the other side of the label. … if this is a coffee they have to order online, what makes it worth the effort? … and perhaps most importantly, what sets this coffee apart from the rest? If we’re being honest, the question, “What sets this coffee apart from the rest?” is always the first question I ask myself when trying a new coffee. If I can’t come up with an answer, then Houston, we have a problem! Fortunately, it’s been my experience that if people are willing to send you their coffee in exchange for telling your readers about it, they are confident about what they’re bagging and this confidence is almost, without fail, very well placed. That’s certainly the case with Miss Ellie’s Coffee. When I eagerly opened the box of coffee (think 5 year old on Christmas morning), one look at the coffee bags gave me my first glimpse into one of the things that sets this coffee apart from the rest… as in all the rest. This is the first time I’ve ever seen a bag of coffee carry the individual’s face. And what a beautiful face, at that! I mean we’re talking Disney Princess level beautiful – but that’s beside the point. As the mother of three Disney Princess level beautiful daughters, I just happen to notice things like this. Naturally, the loveliness of the face isn’t what truly matters. To me, it’s the bold confidence and warm friendliness. Bold Confidence: To put your face (lovely or not) on a bag of coffee, you have to be very confident about that coffee. You have to feel darn good about what you’re bagging to stand behind it… well, in front of it, if we’re being literal. Almost always.. almost without fail… those who are the most confident are this way for a reason. Warm Friendliness: The smiling face on the coffee bags says, “Let’s have a cup of coffee together!” to me. In fact, everything about Miss Ellie’s online presence carries the same warm attitude and that totally and completely stands out to me. We buy a lot of different coffee in our household. 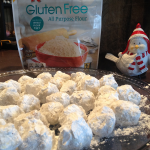 It’s a great passion and we love to try as many different ones as possible. I’m also (blessed, blessed, blessed, blessed…) sent coffee regularly to review on my food blog and (blessed, blessed, blessed, blessed…) tea to review on my tea blog. So, if I say someone has carved out an identity for themselves that stands apart from the majority of the rest – please take my word for it. Each coffee we’ve sampled from Miss Ellie’s has rocked our coffee world. EACH one. We opened the New Orleans first – what can I say, we liked the name. It’s as deep as that. 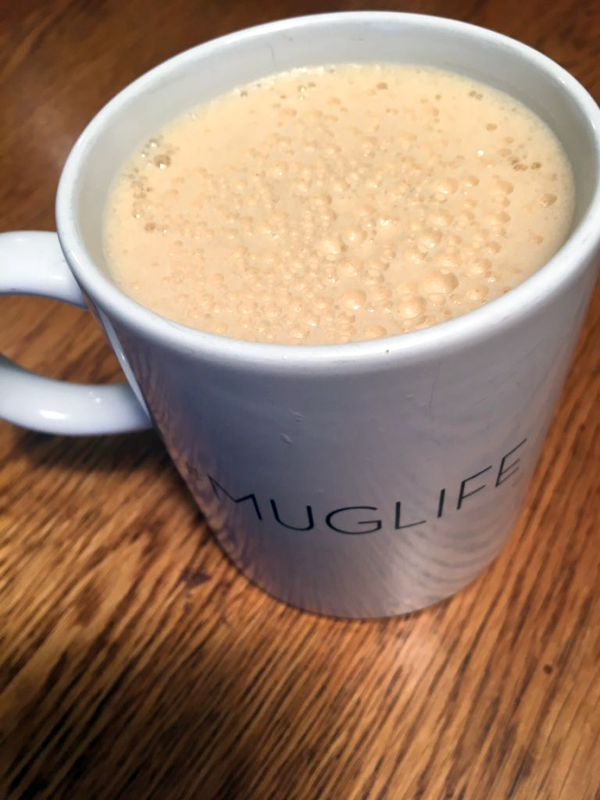 I may have mentioned this on the food blog before, I’m not sure – but my first cup of coffee each morning is “Bulletproof Coffee.” This is a delicious and healthy technique for fixing coffee which involves a little real butter and nutritious coconut oil. If you click the link I just dropped (after finishing this coffee review, of course! 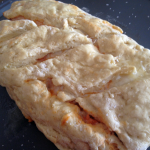 ), you can learn how to make it from the master himself, Dave Asprey. 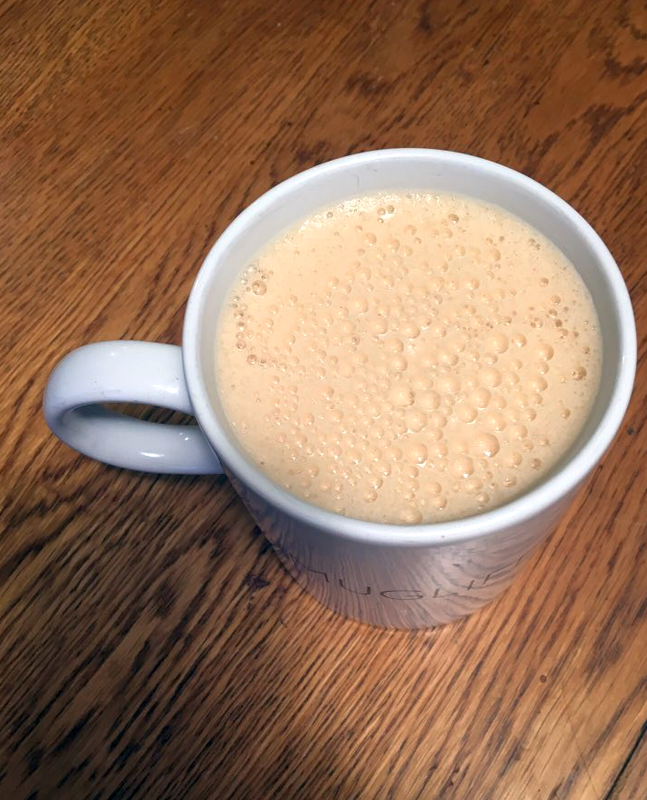 Fascinatingly, we have found that not all coffee makes wonderful bulletproof coffee. I guess it’s really common sense, but it always fascinates me nonetheless. Some coffee makes okay bulletproof coffee, some makes good bulletproof coffee, some makes great bulletproof coffee, and some makes exceptional bulletproof coffee. Miss Ellie’s New Orleans Roast makes some of the most exceptional bulletproof coffee we’ve ever had. In fact, I’ve never had a coffee that made a better one than New Orleans. After my bulletproof coffee each morning, I go on to have 2-4 cups of pour-over coffee, so I was really anxious to see if the New Orleans roast was as fantastic on its own….. in a more traditional cup of coffee. Was it ever?! This is simply a beautiful, beautiful coffee and I cannot recommend it highly enough. 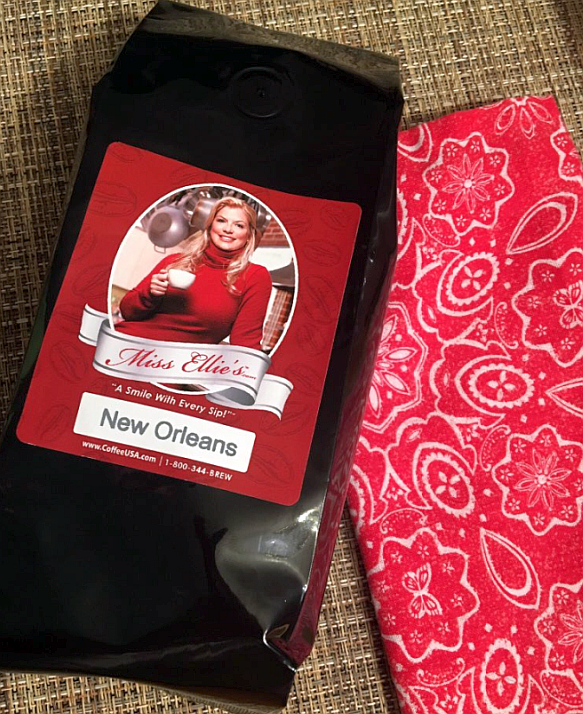 From Miss Ellie’s Coffee: This medium roast New Orleans coffee is a blend of selected beans from Costa Rica, Guatemala, and Colombia. We chose this Nawlin’s roast because of the history of the south. Miss Ellie’s medium beans are hand roasted to perfection. 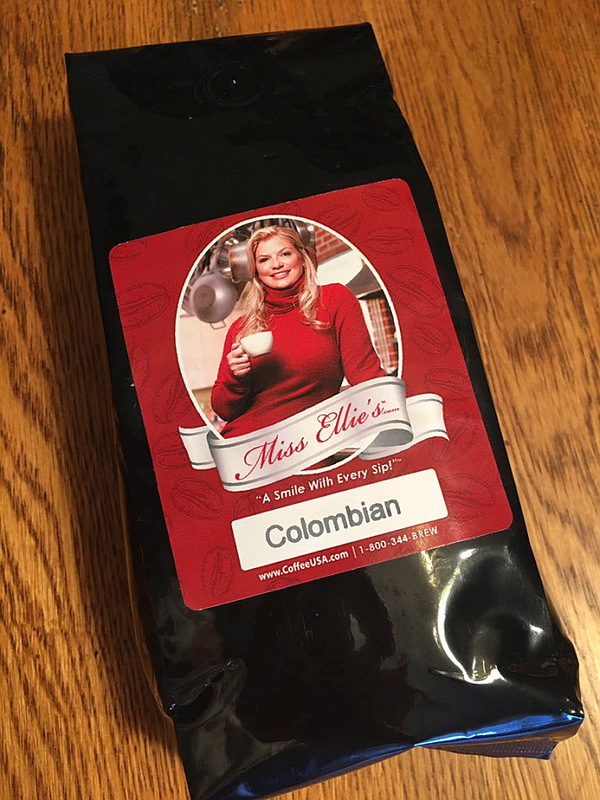 The next Miss Ellie’s Coffee we tried was the Colombian Blend. Naturally we tried it in a Bulletproof Coffee, first. We were anxious to see if it made as excellent a cup of Bulletproof Coffee as the New Orleans blend did. 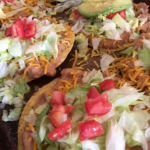 While it was absolutely delicious, I’d have to say that the New Orleans beans were EVEN better. This isn’t a knock, at all, against the Colombian.. it’s just a nod to the New Orleans. The Colombian does, however, make every bit as wonderful a cup of pour-over coffee as the New Orleans. It’s rich, bold, and unmistakably Colombian. I love for a Colombian coffee to be proud of its heritage and this one is as proud as it gets! When it comes to most coffee, if I’m not drinking it Bulletproof-Style, I drink it black. However, when it’s a Colombian blend, I love a little heavy whipping cream in my cup. It is simply HEAVENLY! Miss Ellie’s Colombian makes an absolutely perfect, ridiculously delicious cup of coffee – especially (in my opinion) with a little heavy whipping cream. 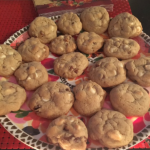 Decadent and delicious. As you can see in the picture above, I decided to celebrate the first day of baseball season (GO CARDINALS!!!) with the Colombian. 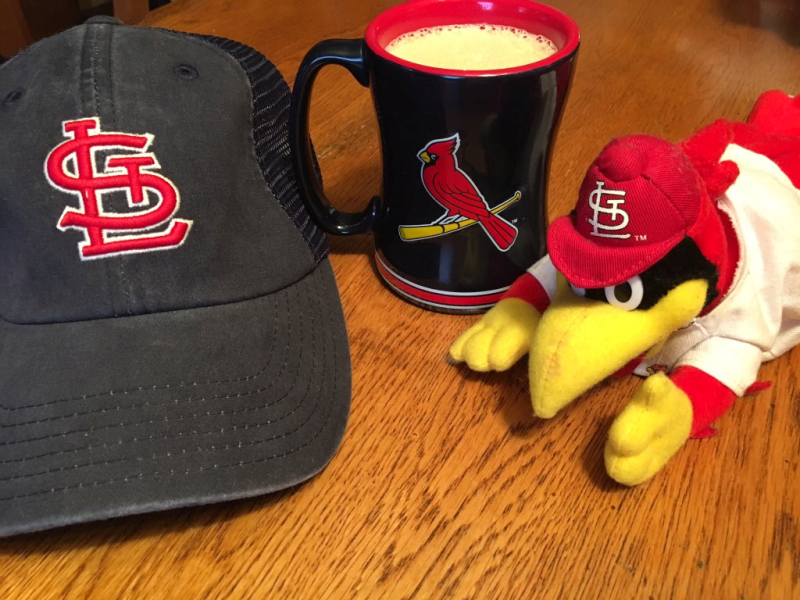 For this baseball fanatic to choose a coffee as the one she celebrates the first day of baseball with is a compliment of the highest order. The Colombian with whipping cream and the New Orleans in Bulletproof Coffee have become two of my newest and most treasured obsessions. They’re legendary, that’s all. Legendary. Miss Ellie’s Coffee is, obviously, delicious (I hope I’ve thoroughly conveyed that fact!). It’s also very reasonably priced, so the value is definitely there. I love the way they go about their business – small-business values with a big-business approach. My dealings have been top-notch in every way. I’m not sure if you order coffee online very often – I’d say we probably order more coffee online than we buy offline. Buying coffee (or anything for that matter) online is so quick, easy, and painless that it becomes your favorite way of shopping. 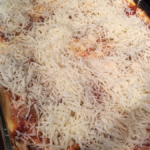 Zero lines, you can order in your pajamas with your cat in your lap, the coffee is brought right to you… and did I mention you can order in your pajamas with your cat in your lap. Absolutely my favorite way to shop. I also received some sample-size packets of flavored coffees as well and will tell you all about them tomorrow. Not surprisingly, they’re each extraordinary – it seems Miss Ellie only Makes extraordinary coffee. I guess that’s why she’s always smiling. For more information, see Miss Ellie’s Coffee on Coffee.org.